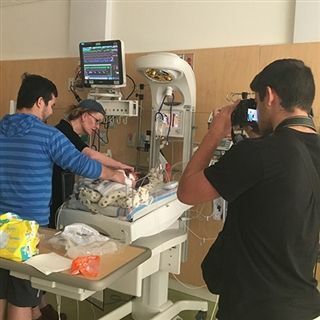 On October 9th, aspiring photographer and Miami Country Day senior, Harrison Breslow captured moments as world-renowned children's photographer Anne Geddes visited patients and families at the nearby Nicklaus Children's Hospital. Breslow's connection to the hospital is deep rooted from his childhood. Read more about his volunteer experience here.